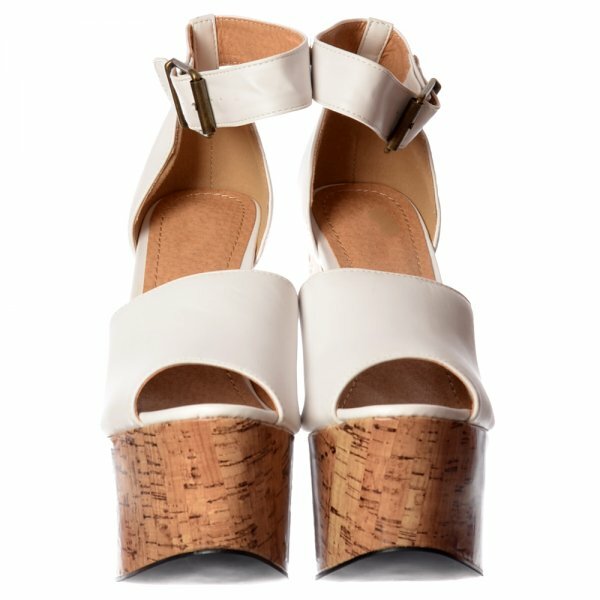 This Stunning Summer Sandal With Open Toe and Ankle Strap Make These The Perfect Addition to Any Wardrobe. 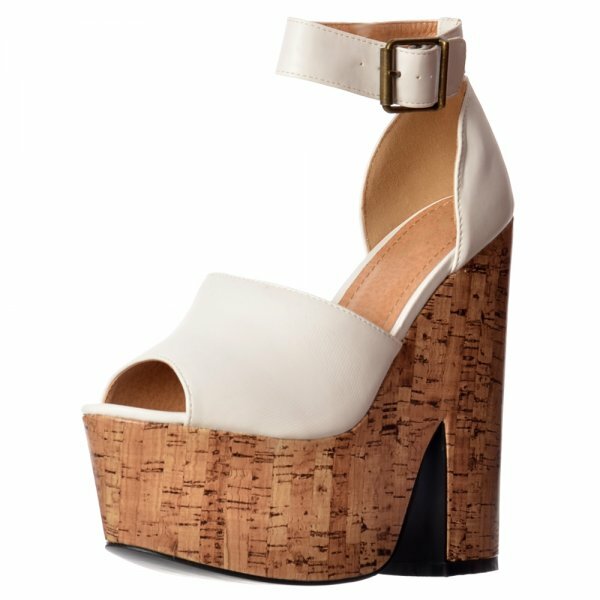 The 6 inch Chunky Demi Wedge Heel is Complimented by a 2 inch Platform Making These Shoes Stylish and Comfortable To See You From Daytime to Playtime . 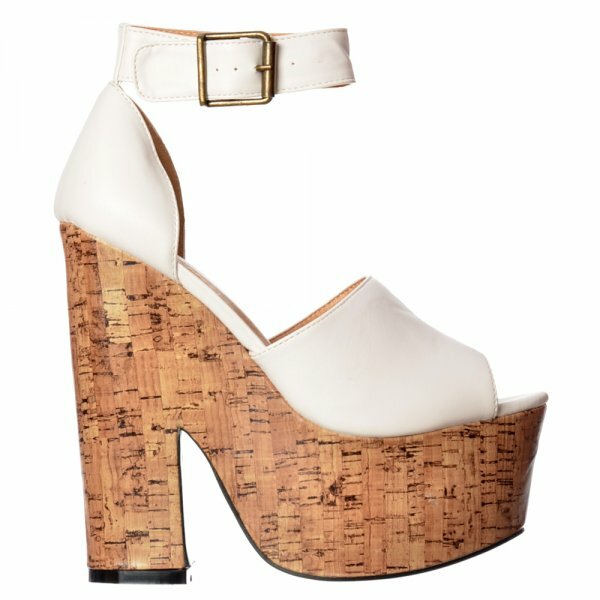 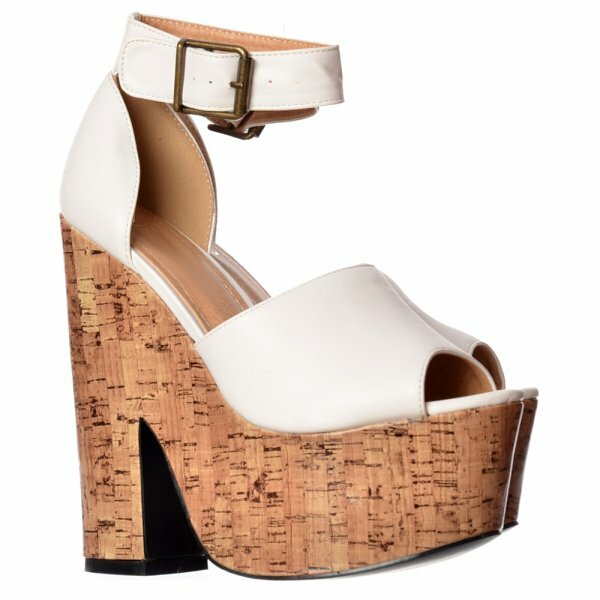 The Demi Wedge is A Stylish Alternative Update on The Wedge Shoe, Adjustable Buckle and Padded Inner Complete The Look. 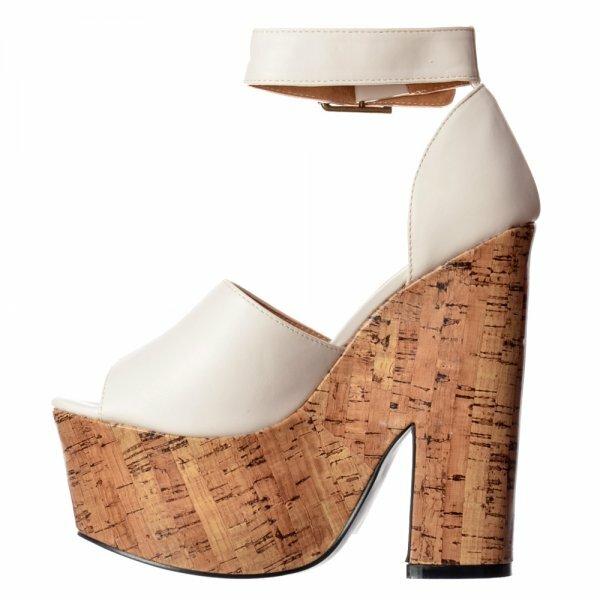 Choose From White PU with Cork Heel, Tan PU with Cork Heel or Black PU Black Patent Heel.